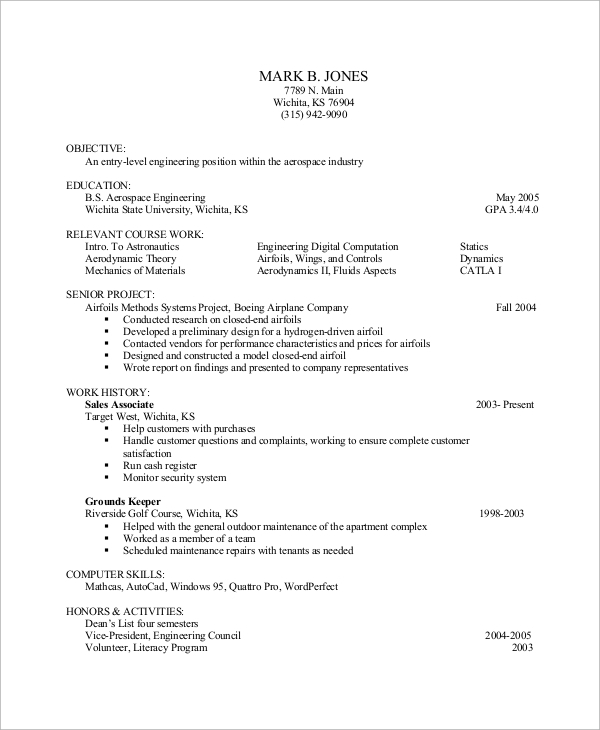 In the professional world, writing an Entry Level Resume turns out to be one of the most daunting tasks. The job market is quite challenging, and when you do not have any prior experience in a particular industry, it ‘s hard to crack an interview. 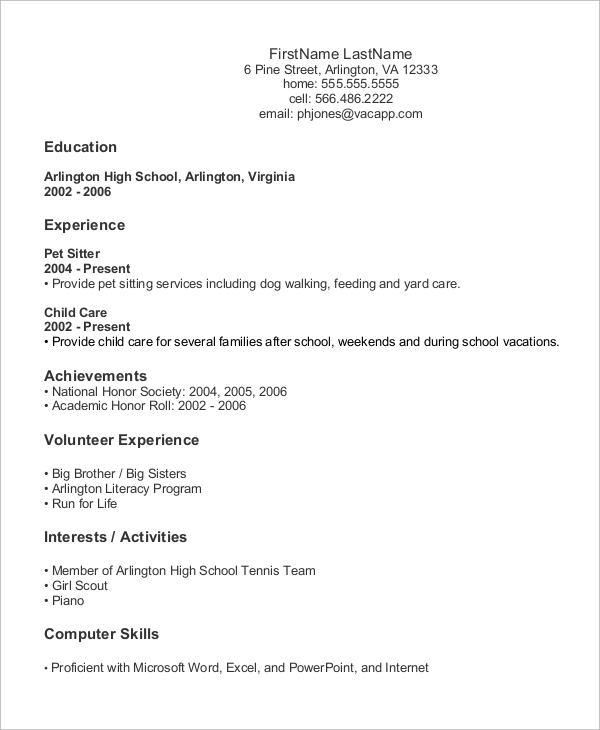 However, certain strategies can enable you to craft an acceptable entry level Sample Resume. 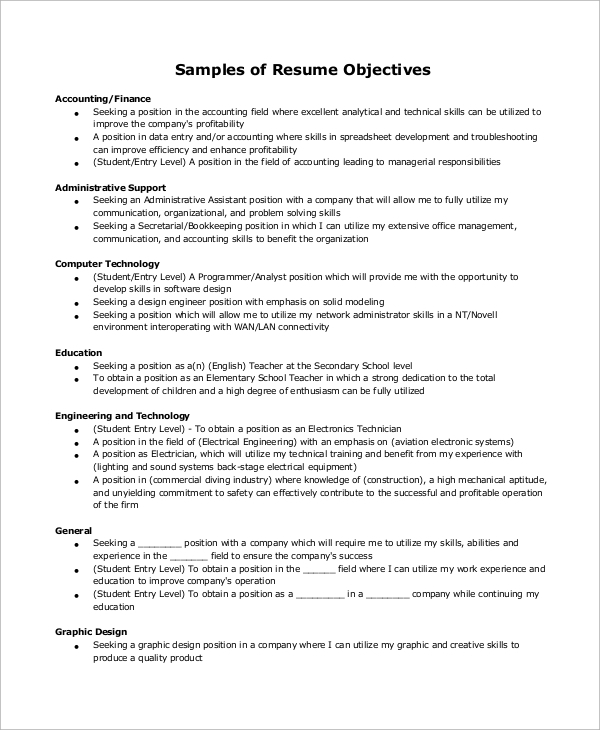 Check out these sample resumes for different jobs, and you will get an idea about how these resumes are presented. For the IT-industry candidates, the technical skills are crucial. If you apply for an IT job, start with the summary and proceed to the education and technical skills. You can use bullet points for this purpose. 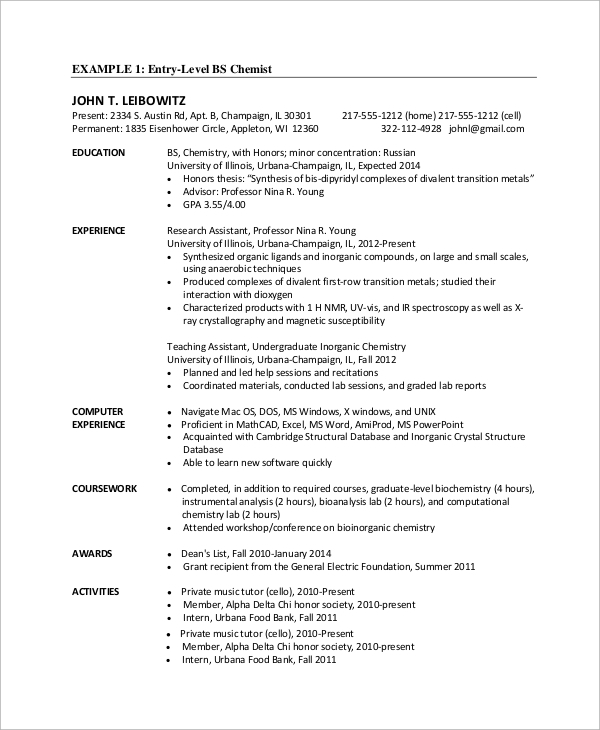 These resumes start off with the objective and education. Since there is no work experience, one needs to focus on the skills and related activities. Remember to include the computer skills in the resume. Here, you need not follow any particular format. The personal profile is presented here in a palatable manner and that too, in a few words. You can make charts for categorisation of your abilities if required. 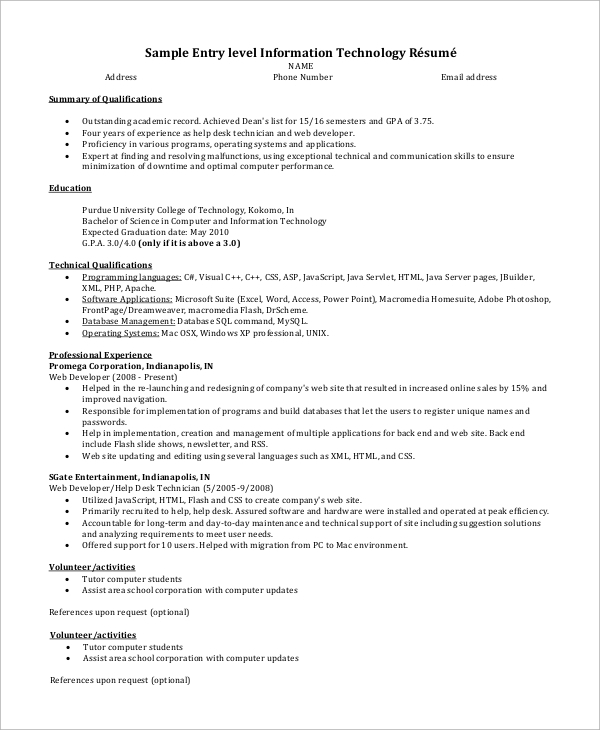 What are the Tips of Writing an Entry Level Resume? Certain tricks can help you to develop the desired resume. You need to blend diplomacy with professionalism when you write the resume. Certain keywords represent your skills and abilities. You need to read the advertisement more than once and take a note of these keywords. Make sure that these are included in your resume. You can also see the Sample IT Resumes. When you describe your skills, use strong action words to emphasize on those aspects. You can also focus on practical experience, volunteer work, extra-curricular activities and all other tasks related to your profession. 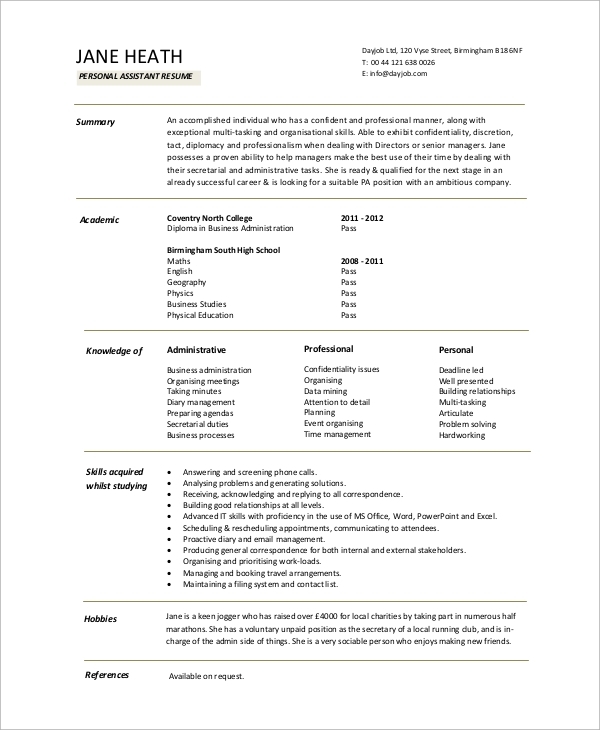 A tailored resume is required when you apply for the job. 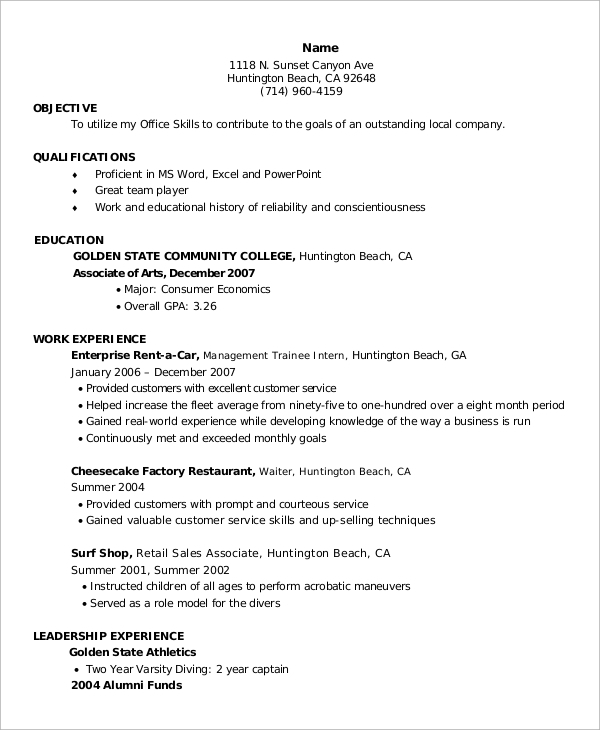 These Entry Level Resume Samples start off with a powerful summary. It is followed by the academic knowledge and skills. The administrative, professional and personal knowledge is presented in a compatible format here. Include your skills and hobbies too. 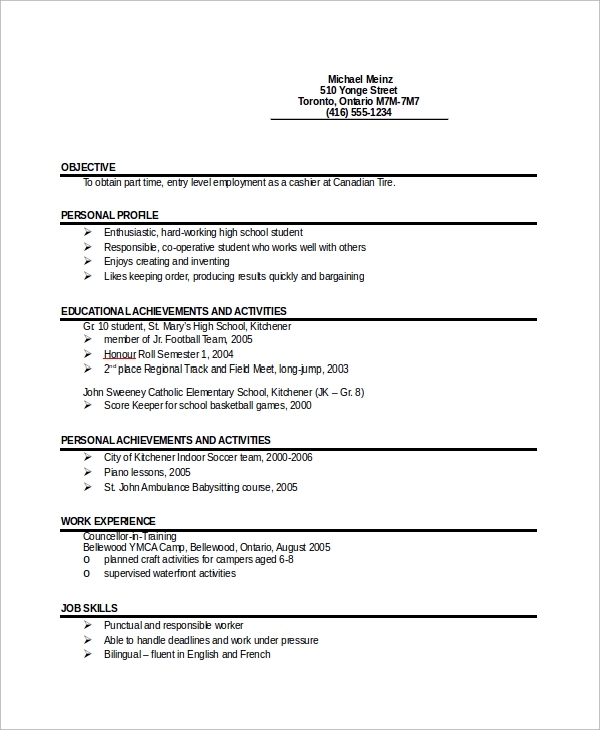 This is a Simple Resume with no work experience at all. You can present your personal information in the resume, followed by other detail like hobbies, aptitudes, and skills. Do not forget to include your contact information in the end. 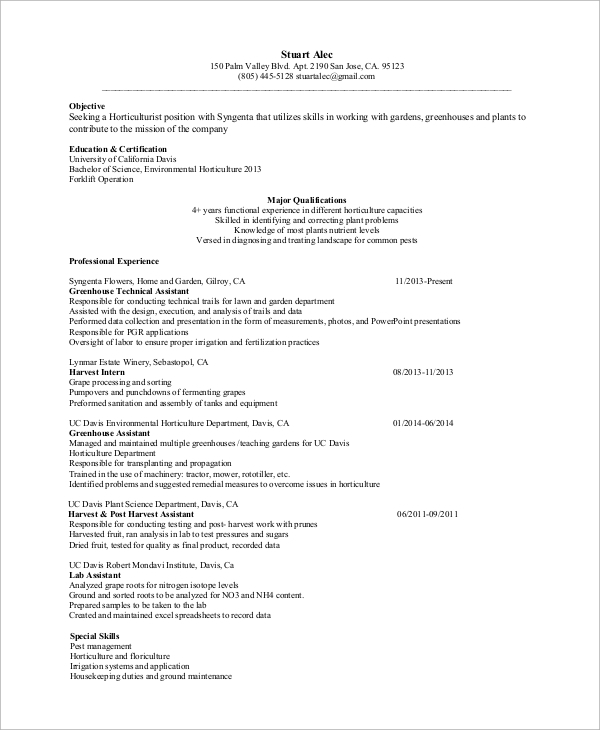 What to Include in Your Entry Level Resume? You need to pay particular attention to the Resume Objective of the job and justify what makes you ideal for the position. This requires sheer judgemental power and skepticism. Use an eye-soothing font and avoid too many font variations. The most important aspect is the skills portion, where you need to incorporate your abilities so that you are picked up. A Resume Sample is one of the most important documents that streamlines your career. When you craft a resume, remember to follow the recommended format for each profession. You can check out these resume templates in the website and avail the ones that are customized for you. This will help you to grab your dream job without much hassle.